The Crofter’s House has been completely renovated and is available for holiday lets on the Isle of Skye. 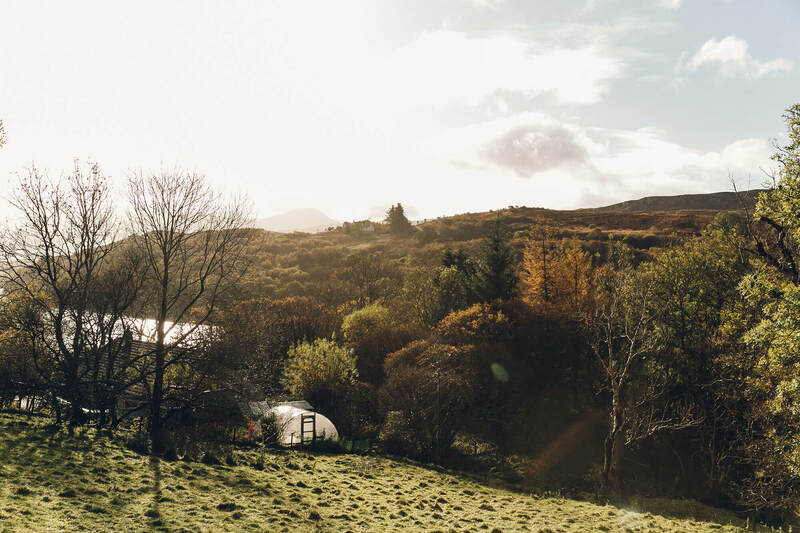 Situated in Camustianavaig, the house enjoys a rural location, yet is only five miles from Portree. 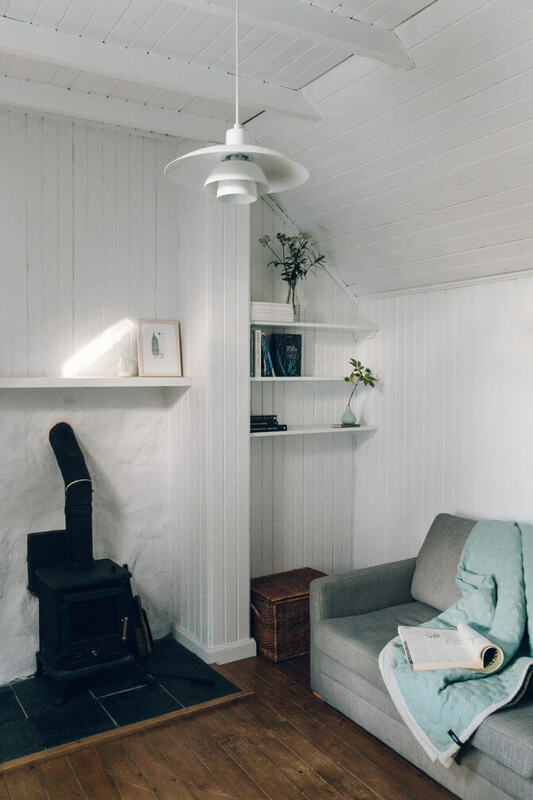 The self catering house is small and stylish, perfect for a Highland hideaway for two. 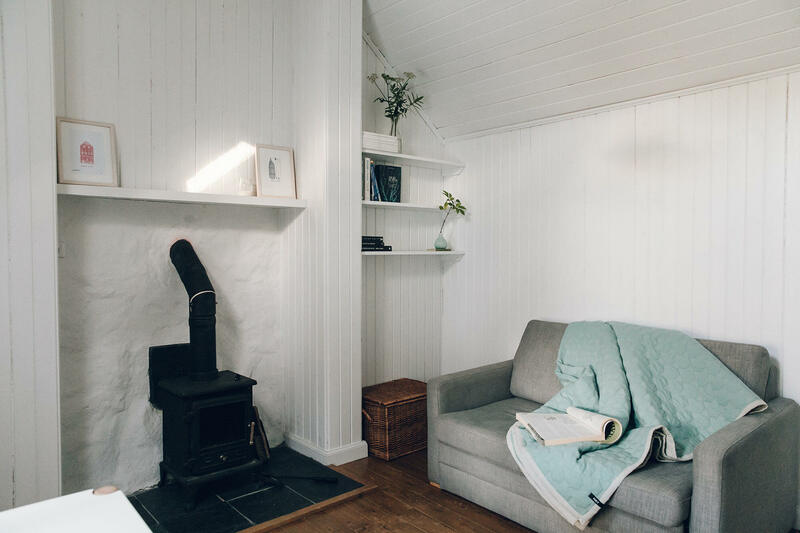 The Crofter’s House is the perfect size for a Highland retreat for two and has recently been completely renovated with minimal styling and calm spaces. The living room has a wood/peat-burning stove, small sofa, table and chairs. 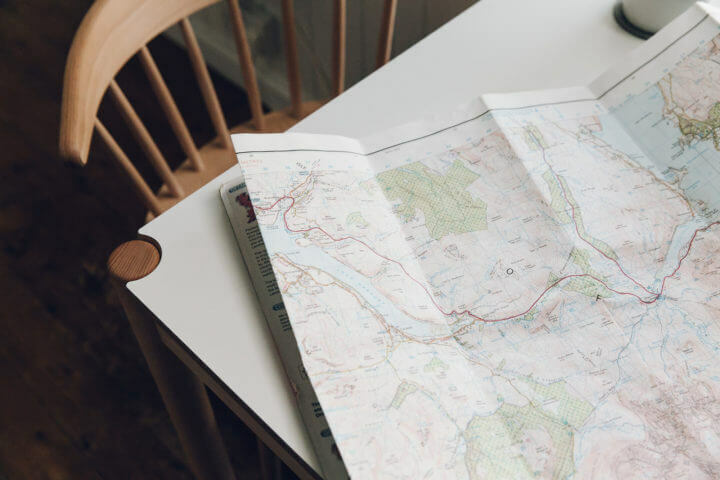 There is a 32″ flat screen TV, a collection of DVDs, BOSE bluetooth portable speaker and a small collection of maps and books on the local area, recipe and design books. The bedroom has a king size bed and cotton bedding. There are spare pillows, bedding and a hairdryer. 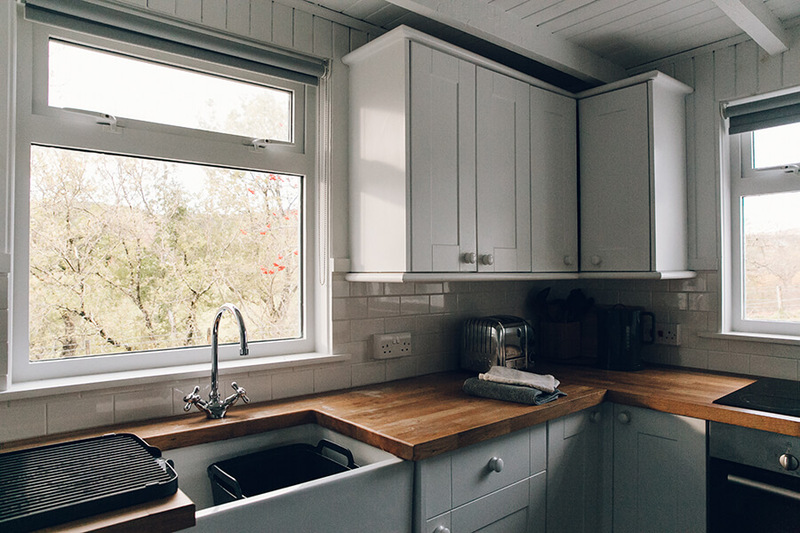 There is a shower in the bathroom and the kitchen is well-equipped with a dishwasher, electric oven, hob, fridge freezer, kettle, toaster and food blender. We leave you in peace. 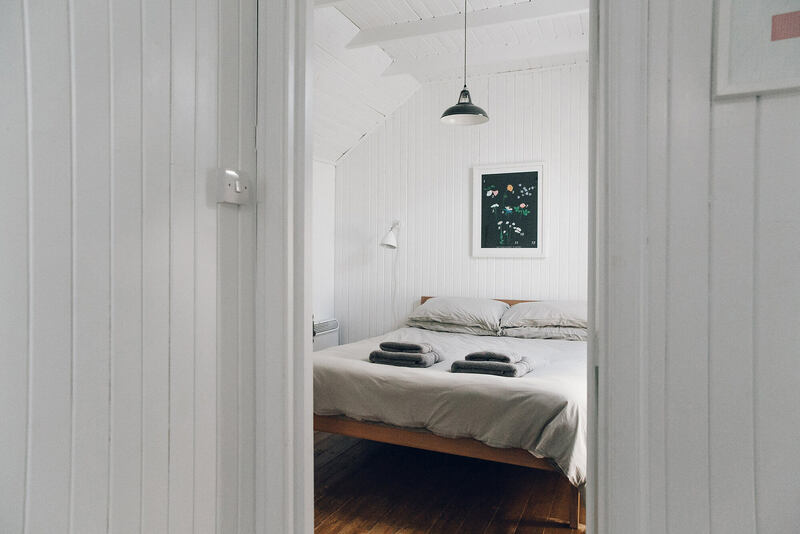 Guests will receive instructions prior to arrival and there’s a house book with contact details for the owner and housekeeper in case of emergency. There is wireless internet in the house but being Skye, it’s not very fast. Similarly, you can get mobile reception, but you need to be standing in the kitchen to make or receive calls. 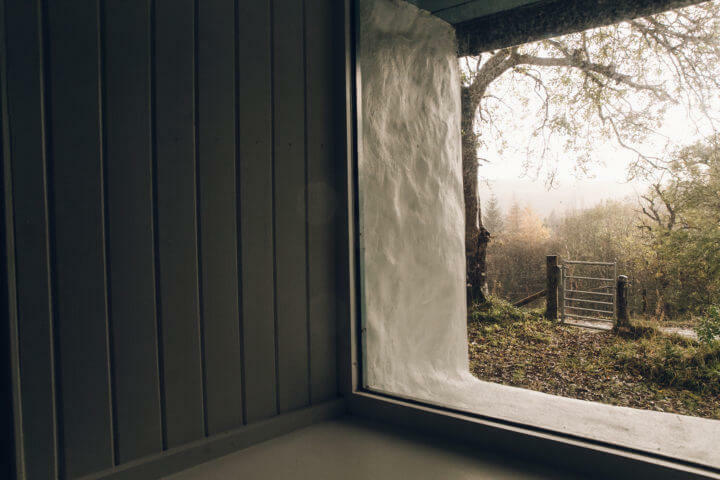 Please also note that we don’t supply logs or peat for the wood/peat burning stove, but you can pick some up from the Co-op or garage in either Broadford or Portree. Outside, the shed houses a wood store, shelter for two bikes and washing machine, tumble dryer and iron.